‘Fess up. Are you a makeup snob? The one area of beauty that I get my Dowager of Grantham on and refuse to entertain any budget brands is with complexion products. I think skincare and what goes directly on the skin, our biggest organ, are the most important beauty products and I have no problem investing in the right product. For me skincare needs to have high quality ingredients, preferably organic, and be free of irritants and fillers. Plus I’m very partial to fancy packaging and a chic font. For complexion products (foundation, concealer, powder) drugstores are a no-go zone. I want a dewy finish and skincare-like formula that feels weightless on the skin and not to risk looking like an Oompa Loompa. Drugstore foundations always seem to be very orange or chalky on me. 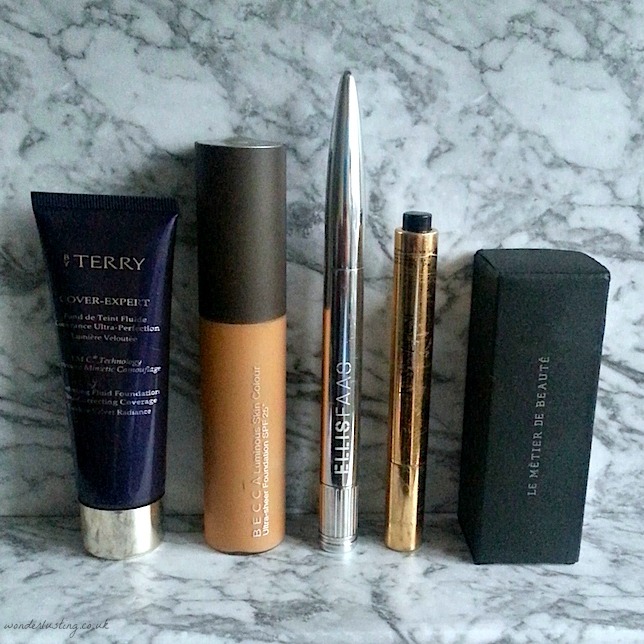 You can read more about what foundations and concealer I currently use here. Now I am not snobby across the board. I get my cheap thrills with lipstick and love nothing more than prowling the aisles of wonderful Walgreens or captivating CVS whenever I’m in the USA. Budget lipsticks seem to have come along in leaps and bounds with many formulas rivalling luxury brands. However I haven’t noticed the same progress with drugstore bases or skincare. Am I missing out on any gems? So c’mon spill. Are you a makeup snob too? What budget beauty products do you turn your nose up at? Oooo! I’m a total snob. Not proudly admitting that though. I feel like for the most part that you get what you pay for in makeup and especially skin care. Cheap ingredients like mineral oil and petroleum are not my favourite ingredients and their always found in drug store and trick my skin into thinking it’s getting what it needs. It’s like you. Foundation, concealer, powder, drug store-no go’s. Especially since no one is willing to help match you with foundations and concealers. I’m not proud either but I know what I like! And the whole no sample thing in drugstores too is annoying. $10 is actually a lot of money to waste if a product doesn’t match! I’m a different kind of makeup snob: cheap doesn’t bother me, but over-kill (by which I mean EVERYONE banging on about something) and an emphasis on a brand ‘face’ really turns me off, unless I already like the ‘face’. E.g. I have never gone in for Eyeko as fronted by Alexa Chung (even though I love the tube packaging on their mascara) and really like Rodial (because I’ve liked Daisy Lowe as a model ever since her very first appearance in Elle). If Winnie Harlow fronted a brand I’d be all over it! Yes snobbery is definitely not just about the price tag. For instance some French drugstore products rank way above Crème de la Mer for me. Oh yes I’m Team Winnie! Being a stylist, I will almost never entertain the idea of using drug store products on my precious tresses. But there are a few exceptions. 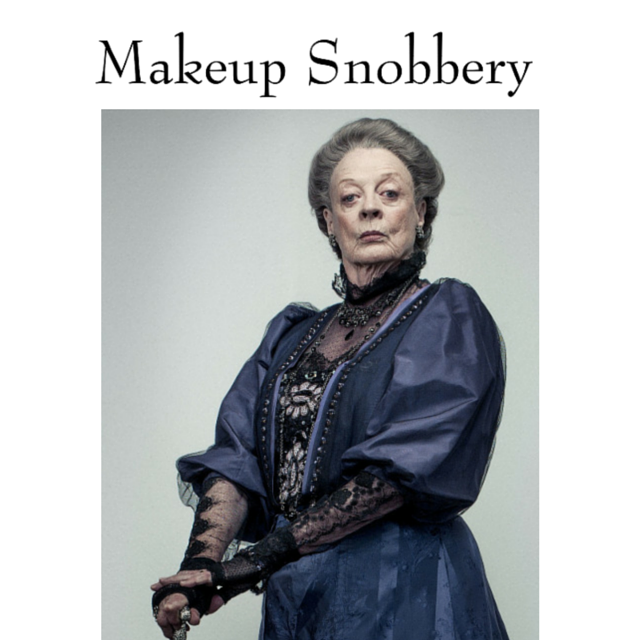 I’m very snobby about makeup. I won’t even look at drugstore products. With skincare, I am very cautious. I do lots of research before trying new skincare products. But I’ve found that a big price tag doesn’t mean I’m getting my money’s worth and a small price tag isn’t always a sign of poor quality. Absolutely there are some big buck brands that when you look at the ingredients you are essentially just paying for the packaging. Research is essential! I am definitely a cosmetics snob all-around lol. There are a few places I’ll cheap out occasionally – brow products, mascara – but that’s about it. I’m ALL about nice packaging, but there’s gotta be results to back up the pretty. I research EVERYTHING before buying. Yep I don’t blindly hand over my money! A bit like you mentioned in your last post, often with dupes I end up buying the original anyway so in effect getting the drugstore is wasting money!